Fourth Circuit’s RLM Communications, LLC v. Tuschen Tackles Noncompetition and Trade Secret Misappropriation Issues. Noncompetition agreements (“non-competes”) present thorny issues. In most cases, you have a former employee who has signed a black-and-white contract prohibiting him or her from engaging in certain employment, and the employee goes and does the one thing that the contract specifically prohibits. Not that long ago, most judges would view the matter purely as a contract issue, and once an employee’s attorney admitted that yes, that was the client’s signature on the agreement, they did not want to hear much else, with visible disinterest giving way to agitation the longer the argument proceeded. On rare occasions, if the employee could present special circumstances, the trial courts would do more than pay lip service to the maxims like “noncompetes are strongly disfavored in North Carolina.” Was the territory much more expansive than where the employee actually operated? Was this really a lower-level employee, with the noncompete designed to keep the employee hostage rather than protecting legitimate employer interests? For the most part, however, it seemed that trial courts would not scrutinize too closely the many hurdles that can arise in noncompete cases. The North Carolina Business Court played a significant in role in changing the noncompete litigation landscape. In balanced, thoughtful opinions, the Business Court developed the law of noncompetes in an evenhanded fashion in several areas; for example, it issued opinions addressing the implications of mergers and acquisitions on the enforcement of noncompetes. See, e.g., Covenant Equip. Corp. v. Forklift Pro, Inc., 2008 NCBC 10, 2008 NCBC LEXIS 12 (Mecklenburg County Super. Ct. May 1, 2008) (asset-purchaser could enforce non-compete upon date of sale but not upon employee’s subsequent termination); Artistic S., Inc. v. Lund, 2015 NCBC 109, 2015 NCBC LEXIS 113 (Wake County Super. Ct. Dec. 9, 2015) (noncompetition obligation began to run on date of asset sale, not employee’s subsequent termination). Although federal courts are often utilized to enforce noncompetition agreements, they are hesitant to expound or expand the law in this area because it is grounded in state law. In RLM Communications, Inc. v. Tuschen, ___ F.3d ___, 2016 U.S. App LEXIS 13726 (4th Cir. July 28, 2016), however, the Fourth Circuit Court of Appeals significantly elaborated on North Carolina noncompetition and trade secrets law. RLM Communications was in the cyber security/information technology business. In 2007, it hired Amy Tuschen. On her first day of work, Tuschen signed a noncompetition agreement stating that for one year after her employment she would not “directly or indirectly participate in a business that is similar to a business now or later operated by Employer in the same geographical area.” Id. at *8. Tuschen rose in the ranks to Director of Information Assurance, with responsibilities that included oversight of large government contracts. In 2013, she quit and began working for eScience, a nearby competing federal contractor. Although initially it appeared the two would part amicably – with RLM providing gift cards and a “giant bouquet of roses” as parting gifts – RLM soon changed its tune. It learned that Tuschen and eScience were attempting to land a large government contract serviced by RLM that was up for re-bidding. Not only that, Tuschen was contacting RLM employees to line them up in the event eScience successfully won the contract bid. RLM filed suit and quickly secured an injunction. The district court later, however, granted summary judgment in Tuschen’s favor, finding the agreement lacked adequate consideration. RLM Communications, Inc. v. Tuschen, 66 F. Supp.3d 681 (E.D.N.C. 2014). Even ignoring for a moment the bar on indirect participation in similar businesses, the noncompete is overly broad by preventing direct participation in similar businesses. Tuschen is not merely prohibited from working for RLM competitors in a position like the one she held at RLM. She may also not mow their lawns, cater their lunch businesses, and serve as their realtor. Id. at *9 (emphasis in original). 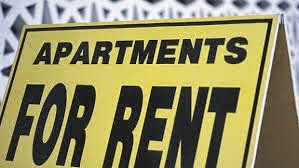 The court goes on to outline various arrangements that would be prohibited by the noncompete, such as selling computer software for a business or investing her retirement accounts in mutual funds that owned a competing company. The court also concluded that any attempt to “blue-pencil” the covenant would be futile. Citing the N.C. Supreme Court’s recent decision, Beverage Sys., LLC v. Associated Beverage Repair, LLC, 784 S.E.2d 457, 461 (N.C. 2016), the court noted that North Carolina adheres to the “strict blue pencil doctrine,” which while allowing the striking of distinct overly broad terms, prohibits re-writing covenants to make them enforceable. Thus, the court found the noncompete overly broad and therefore unenforceable, affirming the district court’s grant of summary judgment in Tuschen’s favor. The RLM decision is also remarkable for its holding on trade secret misappropriation. RLM alleged – and Tuschen admitted – that she had access to trade secrets while she was employed by RLM. Tuschen denied, however, that she used any of the information in her subsequent employment. The court noted misappropriation requires that the user “[h]as a specific opportunity to acquire it for disclosure or use or has acquired, disclosed or used it without the express or implied consent or authority of the owner.” Id. at *15 (citing N.C. Gen. Stat. § 66-155). The court reasoned that the language was open to alternative interpretations. Applying one interpretation in a summary judgment context would allow an Employer to survive summary judgment just by showing it had given the employee access to trade secrets during the regular course of employment. The court reasoned that such a literal interpretation would lead to absurd results. It also cited North Carolina cases indicating that something more is required before an employer can require an employee to stand trial for misappropriation. After analyzing various interpretations, it crafted a rule sufficient for the case before it: “When an employer brings a misappropriation claim against an employee, admitting that the employee had authorized access to its trade secrets at all relevant times, the employer must raise an inference of actual acquisition or use of trade secrets to survive summary judgment.” Id. at *23 (emphasis added). Wholesale copying of files shortly before exiting the company or evidence of use of the trade secrets by a competing company might suffice to avoid summary judgment. But here, RLM had presented no “fishy circumstances” surrounding Tuschen’s departure, and no evidence of the trade secrets’ use in her new employer’s work. Thus, the court concluded, summary judgment had been properly granted to the former employee. Jonathan Wall is a partner with Higgins Benjamin, PLLC,and a former Chair of the NCBA Labor & Employment Law Section. This item originally appeared in L3: Long Leaf Pine, the blog of the North Carolina Bar Association, at http://ncbarblog.com/2016/09/fourth-circuits-rlm-communications-llc-v-tuschen-tackles-noncompetition-and-trade-secret-misappropriation-issues/. Most of us get our perceptions of lawyers from TV, hairdressers, jilted relatives, domestic violence news accounts and other sensational but less than reliable sources. When we face an often emotionally charged breakup, we might think “I want the toughest, meanest junkyard dog litigator I can get.” In reality, there are no statistics that expensive, litigation-hungry lawyers get better results. There are two ways to walk through a marital dissolution – by agreement and through litigation. Lawyers love to litigate. They love to win in court – losing not so much – but family law clients seldom win and lose. More often, neither side is pleased with the result after trial. Both are emotionally drained and both feel they have spent an inordinate amount of their marital estate for legal counsel. Sometimes, clients feel like they lose control of the process. They go to court; nothing happens, they return, another continuance and so on. Ask any District Court Judge and he or she will tell you the courts are overcrowded. It is ultimately the client’s choice whether he or she wants to travel the road to the courthouse or pursue settlement by agreement, but if you are facing an inevitable breakup of your marriage, you should consider alternatives to litigation. The overwhelming majority of divorce related lawsuits settle prior to trial anyway. The State of North Carolina wants cases settled before trial as a matter of public policy. 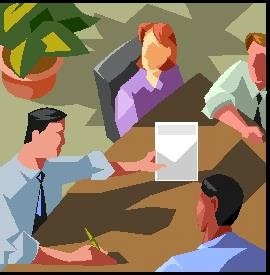 There are statutory requirements that all lawsuits go through mediation before they are scheduled for trial. Where children are concerned, mothers and fathers in Guilford, and several other counties, must attend a 4-hour educational program offered by the Children’s Home Society of North Carolina called “Parenting Under Two Roofs,” attend mediation orientation, and then attend mediation itself. These programs are provided at little or no cost, and lawyers do not attend the mediation. It is an opportunity for the parents to hammer out a parenting agreement with the aid of a well-trained, experienced mediator. Child support obligations are usually, but not always, determined by a mechanical application of a formula set out in the North Carolina Child Support Guidelines, so there is seldom a need for a child support trial. The remaining issues, the only issues for a couple with no children, are splitting the assets and debts acquired during the marriage, and determining if one spouse or the other should receive alimony. If alimony is appropriate, then the amount and duration must be determined. These matters are also the subjects of mandatory mediation. Financial mediation, unlike child custody mediation however, is not paid for by the state and your lawyers will be heavily involved. Many family financial cases settle in mediation. While a mediated settlement is usually preferable to a trial, the settlement agreement is often hastily assembled at the end of a long day or two of negotiations. Why not use a more deliberative process where the spouses are engaged over time so they can give these all-important, life-changing decisions more than a day or two of intense consideration and negotiation? There is a time-proven method for making both the child related and financial determinations known as Collaborative Family Law. Since its inception in 1991, more than 22,000 lawyers have been trained in Collaborative Law worldwide. In 2010, the International Association of Collaborative Professionals published survey results finding that 90% of cases settled while only 10% terminated prior to settlement of all issues. Further, you can choose to involve a Divorce Coach, a Child Specialist to bring your children’s needs and voices to the table, and a neutral Financial Specialist to help you understand and resolve the financial components of your divorce. You resolve the issues through a series of face-to-face meetings, on your time schedule, and with your professional team. The practice of family law gives lawyers the chance to be of service to clients at a critical time in their lives and in a very personal way. Collaborative Family Law practitioners offer a private, cost-effective, efficient, dignified process that allows clients and their families to have the best possible post-divorce relationships – without going to court. If you would like to discuss an issue involving Family Law, Collaborative Family Law, Divorce, or Child Custody, contact Steve Robertson at (336) 273-1600 or srobertson@greensborolaw.com. Beverage Systems, LLC v. Associated Beverage Repair, LLC, 762 S.E.2d 316 (N.C. Ct. App. 2014) is headed to the North Carolina Supreme Court for review. The Court should reverse the Court of Appeals’ decision, as it represents a significant departure from our jurisprudence on noncompetition agreements (also called “noncompetes”). Beverage Systems involved a non-compete provision in a sale-of-a-business context. Tangential to the sale of a business, the seller covenanted not to operate a competing business in the states of North and South Carolina. Evidence indicated that the seller and buyer, however, conducted operations in only a few counties in South Carolina and less than half of the counties in North Carolina. The agreement also provided that if the noncompetition territory was found to be overbroad, the court should re-write the agreement to make it enforceable. The trial court found the territory overbroad and refused to enforce it. The Court of Appeals reversed and held that North Carolina’s “strict blue pencil rule” did not apply because the contract provision imbued the court with authority to re-write the territory. 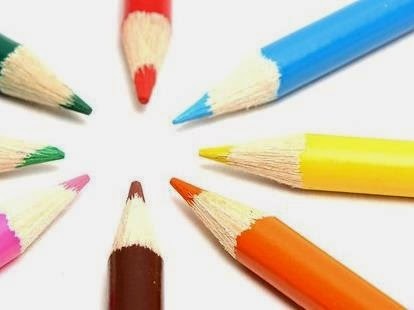 The strict blue pencil rule allows a court to strike through overbroad restrictions and enforce the remaining reasonable provisions, but it does not permit the court to rewrite provisions. The appellate court reversed and remanded to the trial court with instructions to “to revise the territorial area of the noncompete to [make it enforceable].” Judge Elmore dissented. There is a misperception that noncompetition agreements are “good for business.” Many believe the opposite, as noncompetes serve to strangle the labor market and squelch innovation and entrepreneurship. Thus, much of Silicon Valley’s success is attributed to California’s ban on noncompetition agreements altogether. Likewise, Massachusetts Governor Deval Patrick is advocating for a ban on noncompetition agreements (while strengthening protections for trade secrets), hoping to spur more entrepreneurial growth. How will Research Triangle and the Triad’s nanotechnology and bio-sciences sectors fare in attracting new businesses if the Court of Appeals’ decision stands? See On Amir & Orly Lobel, Driving Performance: A Growth Theory of Noncompete Law, 16 Stanford Tech. L. Rev. No. 3, p. 833 at 846, 857-62, 865-66 (2013) (reviewing research outlining negative effects of noncompetition agreements on labor market, job creation, and the economy). Permitting courts to rewrite contract provisions ignores long-held tenets of contract law. Foremost, a contract is to be a “meeting of the minds,” yet it is clear the rewritten provisions were not within the parties’ consciousness at the time the contract was entered. The court’s revisions constitute a “reformation” of the contract. Until now, there have been strict limitations on when a court may reform a contract, limited to those situations involving some type of fraud or mistake. As none of those circumstances are present here, the Court should not entertain any type of reformation. Private parties cannot enlist our courts to make their agreements for them. Acknowledging, let alone enforcing, such provisions sets a bad precedent. In an analogous case, the court observed that “the parties have no right to grant or accept a power held only by the judiciary.” Ibele v. Tate, 594 S.E.2d 793, 795 (N.C. App. 2004) (consent order’s provision that agreement could be enforced using the court’s contempt powers would not be given effect, as it was not within private parties’ power to dictate the business or powers of the court). Courts should not become the parties’ scriveners when they fail to exercise reasonableness and restraint themselves. Restraints on trade are illegal in North Carolina. Noncompetition agreements are partial restraints of trade, and as such there is a substantial body of case law reciting that “[c]ontracts restraining employment are looked upon with disfavor in modern law.” Kadis v. Britt, 224, N.C. 154, 160, 29 S.E.2d 543, 546 (1944). Are we to pay mere lip service to these tenets by creating special rules of enforcement for noncompetition agreements, ensuring their extra-contractual, universal enforcement? While the agreement under review involved the sale of a business rather than a post-employment noncompete, the same principles have been applied in reviewing enforceability of both types of noncompetes. In the employment context, the courts’ post facto rewriting of noncompetes in order to enforce them is especially troubling because it encourages employers to draft overly broad and oppressive clauses. See, e.g., Tradesman, Int’l, Inc. v. Black, 724 F.3d 1004, 1018 (7th Cir. 2013)(employers have powerful incentive to draft oppressive clauses if court will rewrite them; in the few cases that go to court, the employer can retreat to reasonable position without suffering any penalty or disadvantage of its oppressive drafting). Moreover, for every case that gets heard in court, hundreds more go unchallenged as employees assume the clauses are enforceable and lack the resources to challenge them. This in terrorem effect was noted over 50 years ago. Harlan M. Blake, Employee Agreements Not To Compete, 73 Harv. L. Rev. 625, 682-83 (Feb. 1960). Thus, the Court of Appeals’ decision would be especially troubling if it were affirmed without unmistakable clarification that the new rule did not apply in the employment context. Reformation of contracts is an equitable doctrine. As such, it is generally discretionary with the court whether or not to invoke its equitable powers to “save” a contract term. Use of such discretion depends on the circumstances of each case and should never be “mandated” by a private contract. Because the Court of Appeals’ decision disregards years of well-reasoned precedent and would be harmful to our State’s economic growth, the N.C. Supreme Court should reverse the decision. If you would like to discuss an issue involving Noncompetition Agreements, contact Jon Wall at (336) 273-1600, ext. 134, or jwall@greensborolaw.com. Whether it is used for the appearance of a suite of furniture, or the shape of a soft drink bottle, the legal concept of “trade dress” has been used to protect a wide variety of designs that were otherwise not protectable under traditional notions of trademark or patent law. While the legal concept of trade dress traditionally referred to the packaging and labeling of a product (see, e.g., Wal-Mart Stores, Inc. v Samara, 529 U.S. 205, 209 (2000)), Trademark Law protects more than a word, term, or name. Instead, the Lanham Act protects a wide variety of “symbols” and “devices” that identify the source or quality of a product or service. These non-verbal source identifiers are often grouped together as “trade dress.” Protection is indefinite in time. Trade dress today goes much further than packaging, and includes the overall appearance and impression of a product, including design, size, shape, texture, color, and graphics. (See, e.g., Mattel, Inc. v. Walking Mountain Productions¸353 F.3d 792, 808 n.13 (9thCir. 2003)). The Supreme Court has held that “almost anything at all that is capable of carrying meaning” could be used as a “symbol” or “device” to identify the source or quality of a product. (Qualitex Co. v. Jacobson Prods. Co., 514 U.S. 159, 162 (1995) (noting that courts and the Patent Office have protected shape, sound and scent as well as color)). In the recent Fourth Circuit case of McAirlaids, Inc. v. Kimberly-Clark Corp., 2014 U.S.App. LEXIS 11945 (4th Cir. Jun 25, 2104), the Court discussed a specific limitation that has been placed on the broad concept of trade dress, i.e., that trade dress cannot be used to protect a “functional” feature. A functional feature is one that “is essential to the use or purpose of the device or…affects the cost or quality” of the product. (TrafFix Devices, Inc. v. Marketing Displays, Inc., 532 U.S. 23, 33 (2001)). Kimberly-Clark began manufacturing GoodNites bed mats, an absorbent product manufactured in a different manner from McAirlaids’ pads. However, because Kimberly-Clark used a similar dot pattern on its absorbent bed mats, McAirlaids initiated a lawsuit alleging trade-dress infringement and unfair competition under the Lanham Act. The district court bifurcated the issues for trial: in the first phase, the only question was whether the dot pattern on McAirlaids’ products was functional, and thus not protectable as trade dress. The district court granted summary judgment to Kimberly-Clark, but the Fourth Circuit found genuine issues of material fact and reversed. The parties in this case agreed that pressurized bonding points were functional because these areas actually fused the layers of pulp into a textile-like material. The dispute was whether McAirlaids’ chosen embossing pattern was functional. The Significance of Utility Patents to the Question of Functionality. The Supreme Court emphasized that a “utility patent is strong evidence that the features therein claimed are functional.” TrafFix, 532 U.S. at 29. In TrafFix, the central advance of several utility patents was a “dual-spring” design that allowed outdoor signs to remain upright in windy conditions; therefore, the dual spring design was functional, and not “an arbitrary flourish.” Id. at 34. The pixel pattern in McAirlaids was distinguished from TrafFix on two grounds. First, because McAirlaids had registered its design as trade dress, its registration served as prima facie evidence that the trade dress was valid (and therefore not functional) – and in TrafFix the burden was on the trade dress claimant to prove that its dress was “not functional.” See 15 U.S.C. § 1125(a)(3). Thus, the burden should have been place on Kimberly-Clark to show functionality. Second, McAirlaids’ utility patents covered a process and the resulting material, but made no mention of a particular embossing pattern. Thus, the pixel pattern is not the “central advance” of any utility patent, and is not the same “strong evidence” of functionality as the patents in TrafFix. See 532 U.S. at 29. The Appropriate Weighing of the Evidence of Functionality. McAirlaids also argued that summary judgment of functionality was not appropriate because the district court improperly weighed the evidence of record. The Fourth Circuit agreed with McAirlaids that it had presented sufficient evidence to create a genuine factual issue as to whether their pixel pattern was a purely aesthetic choice among many alternatives. (1) The existence of utility patents. As addressed above, the utility patents disclosed that many designs could be used. Testimony established that the pixel pattern was chosen for its appearance. (2) Advertising focusing on utilitarian advantages of the design element. Some marketing presentations arguably touted the pixel pattern as increasing absorbency. (3) Availability of functionally equivalent designs. Both parties’ experts testified that many shapes could be used to fuse the layers together, and that McAirlaids had previously used an embossing design of diagonal lines which had nearly identical performance testing as the pixel pattern. (4) The effect of the design on manufacturing.Both parties agreed that any embossing design must meet genera size and spacing specifications to successfully bond the layers of material into an absorbent pad. In light of those factors, the Fourth Circuit determined that sufficient evidence had been presented to raise a genuine issue of material fact; and the issue of functionality should be left for a jury to weigh evidence and to make credibility determinations. Protection of design features through “trade dress” can be very powerful because it does not expire. Registration of such design features as a registered mark can provide important legal benefits. Manufacturers should consider whether their product has a non-functional feature that could be considered as “trade dress”, and whether they should protect such feature. In the Greensboro area, there have been numerous news reports about the Notice of Opposition filed by Anheuser Busch LLC, claiming that the registration of “NATTY GREENE’S” will damage Anheuser Busch. This article attempts to address some of the issues and questions that have arisen since the filing of that opposition. What is a Notice of Opposition? The process for obtaining registration of a trademark or service mark is fairly straightforward. In the initial step, the Trademark Office ensures that the application has met the minimum filing requirements; if so, the application if assigned to a Trademark Examining Attorney. The Examining Attorney reviews the application for a number of specifics, but is primarily tasked with determining whether there are any marks which conflict with the mark for which registration is sought. In the case of NATTY GREENE’S, the Examining Attorney “searched the Office’s database of registered and pending marks and has found no conflicting marks that would bar registration” of NATTY GREENE’S. The Examining Attorney then approves the mark for publication in the Trademark OfficialGazette, a weekly publication of the United States Patent and Trademark Office. The purpose of publication in the Official Gazette is to put the public on notice of the potential registration of the proposed mark, and to allow any party who believes it may be damaged by registration of the mark to file a Notice of Opposition. 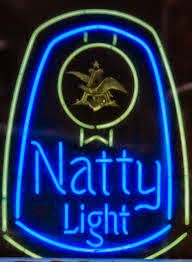 On June 18, 2014, Anheuser-Busch, LLC filed its Notice of Opposition to the mark NATTY GREENE’S, claiming that registration might damage their marks; NATTY LIGHT; FATTY NATTY; and NATTY DADDY. The process that follows the filing of a Notice of Opposition is an administrative proceeding conducted within the Trademark Office before a board called the Trademark Trial and Appeal Board. Typically, a case is heard by three Administrative Trademark Judges .In an opposition proceeding, the Board may refuse to register the opposed mark, or may modify the application or registration by limiting the goods or services specified therein. See 15 U.S.C. § 1068. When looking at whether the marks are similar in their appearance, sound, meaning, or connotation and commercial impression, the similarity in any one of those elements may be sufficient to find a likelihood of confusion. In re White Swan Ltd, 8 U.S.P.Q.2d 1534, 1535 (TTAB 1988)(the mark SHAKE SCATTER & GROW is not registrable in light of the registration for SHANK-N-GROW). Similarity in the first word, prefix, or syllable is significant when evaluating likelihood of confusion. Presto Prods., Inc. v. Nice-Pak Prods., Inc., 9 U.S.P.Q.2d 1895, 1897 (TTAB 1988)(it is often the first part of a mark which is most likely to be impressed upon the mind of a purchaser and remembered when making purchasing decisions). Thus, the fact that both marks begin with “NATTY” weighs against the registration for NATTY GREENE’S. When looking at the goods that are to be sold under each of the marks, the goods need only be “related in some manner and/or if the circumstances surrounding their marketing [be] such that they could give rise to the mistaken belief that the [goods] emanate from the same source.” Coach Servs., Inc. v. Triumph Learning LLC, 668 F.3d 1356, 1369, 101 U.S.P.Q.2d 1713 (Fed.Cir. 2012). The fact that both marks are to related to “beer” and likely would be sold to the same class of purchasers and encountered under similar circumstances are factors that weigh against the registration of NATTY GREENE’S. The court found that there was substantial evidence of actual consumer confusion. The court weighed the other factors relevant to “confusion” and determined that Joseph Gallo could not use his own name as a trademark to sell cheese. The court pointed out that surnames, when used as trademarks, are inherently weak trademarks. Such marks only become strong after they become well known to the community through extensive use, significant advertising, and public recognition. The GALLO mark was found to have secondary meaning and to be a strong mark. This type of analysis demonstrates that it doesn’t matter who NATTY GREENE’S is named after. The issue is whether it is confusing to consumers in light of the use of NATTY LIGHT. Does it Matter That NATTY GREENE’S is Primarily Local? Some people have argued that there is not a likelihood of confusion because NATTY GREENE’S is a small brewery specializing in craft beers; therefore, people would not confuse NATTY LIGHT (a mass-produced and mass-marketed beer) with NATTY GREENE’S. One of the factors to consider when analyzing ”likelihood of confusion” is the “quality” of the junior user’s product (in this case, NATTY GREENE’S product). Court’s recognize that a difference in the products’ quality may affect the likelihood of confusion. When the senior user and the junior user have products that are similar, comparable quality that supports the consumers’ belief that the products emanate from the same source and thus contribute to consumer confusion. Morningside Group, Ltd. v. Morningside Capital Group, L.L.C., 182 F.3d 133, 142, 51 U.S.P.Q.2d 1183 (2d Cir.1999). A marked difference in quality, on the other hand, may reduce the likelihood of confusion. A related factor in the “likelihood of confusion” analysis examines the sophistication of typical consumers and the level of care they exercise when purchasing the products at issue. Sports Auth. v. Prime Hospitality Corp., 89 F.3d 955, 965, 39 U.S.P.Q.2d 1511 (2d Cir. 1996). The courts generally consider that consumers exercise greater care in purchasing expensive products than in purchasing cheap products and purchasers of expensive products are less likely to be confused. Id. In reviewing these factors regarding quality and “sophistication of consumers,” there is no clear indication that either of these factors will weigh heavily in the ultimate determination. However, if NATTY GREENE’S can demonstrate that its consumers look for a higher quality product, these factors are potentially in favor of NATTY GREENE’S. Who will Win? The last survey reviewed by this author demonstrated that only 5% of oppositions filed eventually go to a hearing. While much of this case will depend on the quality of the evidence presented, I am fearful that NATTY LIGHT may be able to prove that it has a strong mark, and may be able to provide some survey evidence that confusion is likely. If they do that, I believe that NATTY GREENE’S will be denied their registration.